No Naughties® contains over 50 mouth-watering recipes from super quick snacks to more elaborate desserts and cakes. You can find breakfast ideas, lunch-box fillers, delicious desserts, sumptuous suppers, afternoon indulgencies, fruity favourites and delightful drinks for every day of the week. In addition to the recipes, you can find information on the ingredients, where to buy them and how to use them successfully. At the back of the book there is a list of useful resources on 'free-from' ingredients, shopping sites and medical conditions that may be helped by a special diet. No Naughties® shows that making ‘free-from’ treats is easy and can be done by anyone. Multiple food intolerances don’t have to mean a boring diet. It’s perfectly feasible to prepare and enjoy delicious treats – and inject some sweet magic into your life! 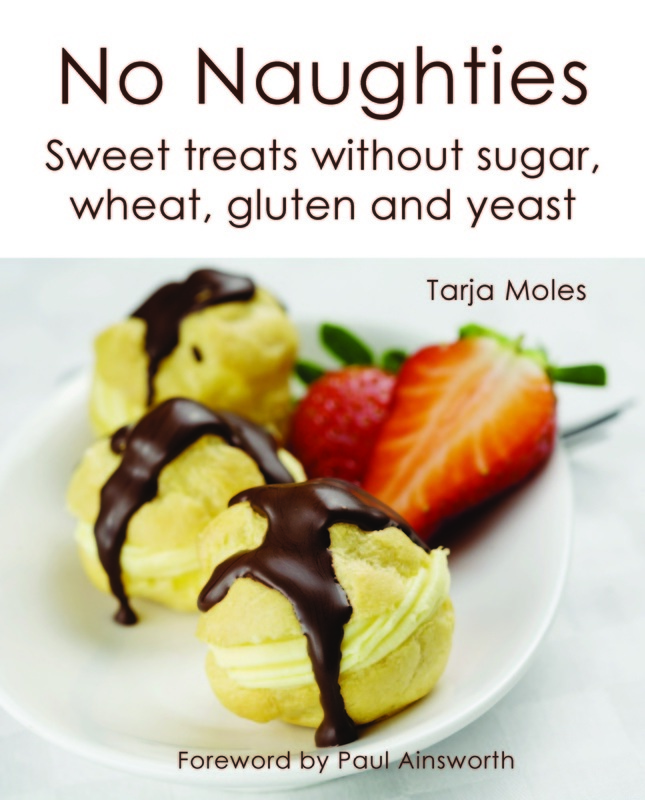 No Naughties® aims to show that despite multiple food intolerances it’s possible to make delicious treats. The book contains mouth-watering, yet easy to make, sugar-free, gluten-free and yeast-free recipes from super quick snacks to more elaborate desserts. It also includes cooking tips, information on the ingredients and further resources. I had to cut out gluten, sugar and yeast from my already low-lactose diet in 2002. Because I have a (very!) sweet tooth, I started experimenting with how to make sweet treats. Profiteroles – it combines two ingredients I love: cream and chocolate.